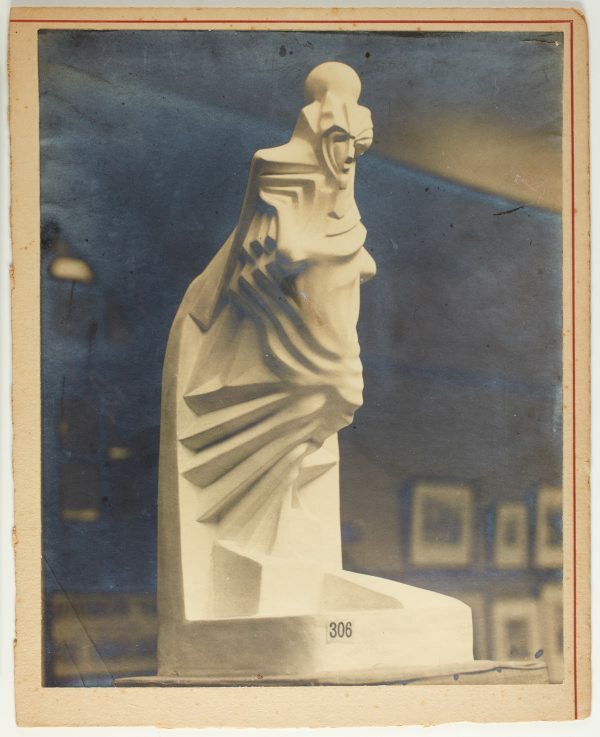 This photograph shows Eleonore Lange’s model for her work ‘Seraph of light’ on display as part of the 'Exhibition by women artists of Australia', held at the Education Department's Art Gallery, Loftus Street, Sydney, 12-25 July 1934. The catalogue number given to the work in the exhibition (306) is visible on the base of the model. This model is now in the collection of the National Gallery of Australia, Canberra.